job | Best practices in economic development from experienced leaders. As we all know, social media is extremely powerful, and can be used for both very good (and very bad) purposes. I must say that I resisted it for many years, and only relented when my Vice President Brent Jones recommended we create a Facebook page to promote our organization (the Shiawassee Economic Development Partnership)’s activities. In order to get followers, I found it best to create my own personal page, add friends, and then recommended they follow us. Little did I know that what began as a few posts here and there would turn into one of our most important communication tools, directly reaching over 2,300 friends. My goal for this month’s MEDA blog is to give you a few thoughts on how you can utilize your Facebook successfully in your own economic development efforts. One of the biggest challenges economic developers face is demonstrating value to their stakeholders (board members, funders, government and business leaders, public at large). You not only have to do good work, but also have to communicate it. A constant flow of quick stories about what you do helps build an impression over time that you are tirelessly striving to improve your local economy, which brings you lots of credibility. It also creates a more positive perception of your community in general, which can in turn increase resident and existing business confidence in the area, and also serve as a resource to attract new investment. This is something that I didn’t expect when I started, but quickly found out that Facebook is the single most impactful tool to connect people with jobs. As we all know, the communication of employment opportunities has become more fragmented (you no longer just look in the help wanted section of the newspaper). With pretty much everyone on Facebook, and the ability to share posts with your network, the exposure of job postings mushrooms very quickly to reach more people than any other form of media. Given the tight labor market, we are finding it effective right now in engaging with our commuter population (70% of our residents leave the county for work every day), who are not actively looking for a job but are intrigued about the possibility of finding something closer to home (particularly when facing this winter weather). This one is tricky, and probably the biggest reason why some of my peers don’t want to mix the two. Personally, I think it is valuable for people to see that you are not only passionate and driven with your career, but can also have fun too (like me with University of Michigan athletics – Go Blue!). That being said, I try very hard to avoid anything controversial that doesn’t relate directly to my job. I also strive to ensure pretty much everything has a positive, uplifting tone to it (except when my Wolverines lose L). If you would like to discuss further, feel free to reach out to me on Facebook! 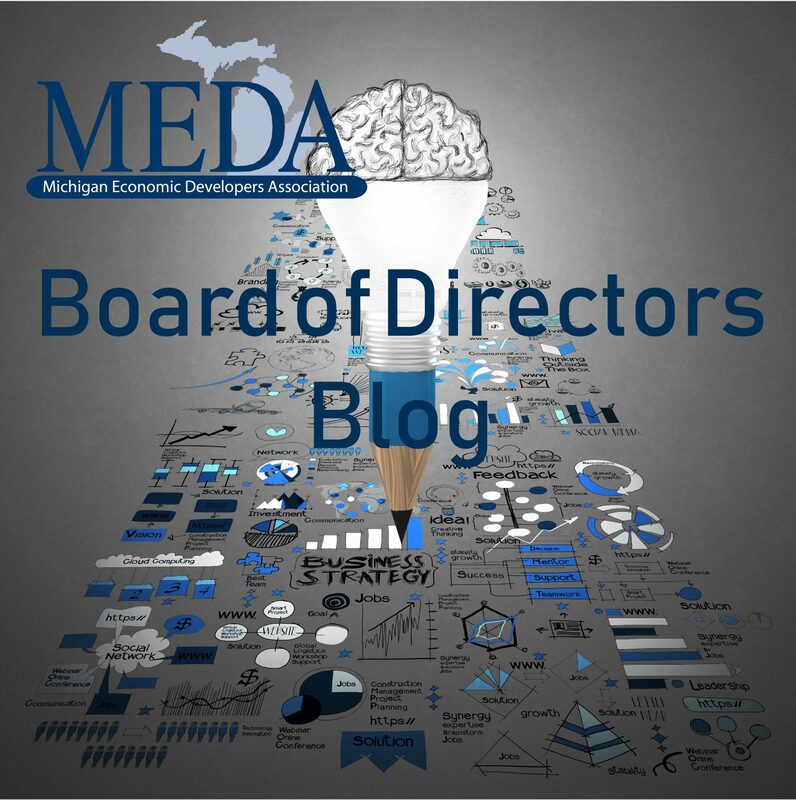 Justin is the 2018 Board Treasurer for the Michigan Economic Developers Association.